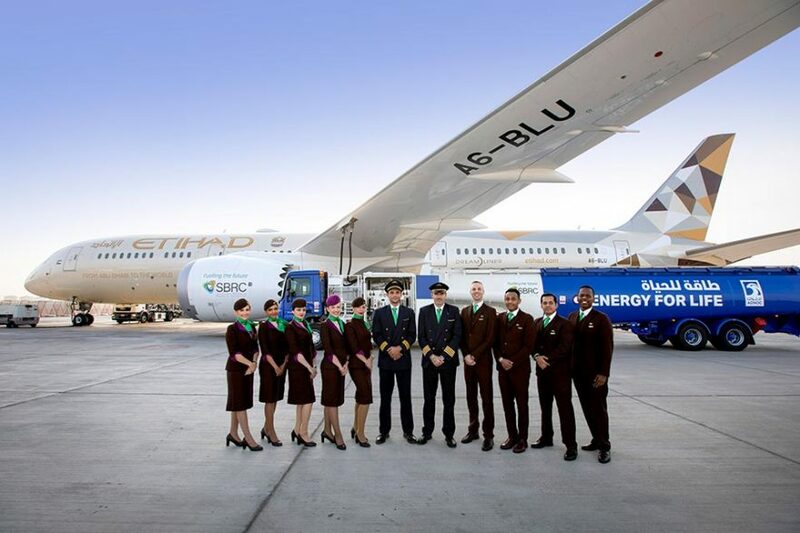 Khalifa University, Etihad Airways, Boeing, ADNOC, Safran, GE and BAUER Resources celebrate a major milestone as the world witnesses its first commercial flight using locally produced sustainable fuel on an Etihad Airways Boeing 787 powered by GE’s GEnx-1B engines. The project was carried out by the Sustainable Bioenergy Research Consortium (SBRC), a non-profit entity established by Masdar Institute that is part of Khalifa University of Science and Technology, UAE. The SBRC partners have been working together to prove the concept of a comprehensive value chain that is centered around the Seawater Energy and Agriculture System (SEAS). Sustainable fuel for the flight was derived from oil in Salicornia plants, which were grown on the two-hectare SEAS farm in Masdar City. The SEAS is the world’s first desert ecosystem designed to produce fuel and food in saltwater. Tony Douglas, Group Chief Executive Officer, Etihad Aviation Group, says: “This is a significant milestone for the UAE and its key industries. Etihad is fully committed to this project which demonstrates a successful proof of concept that is local, viable, cost-effective and sustainable.